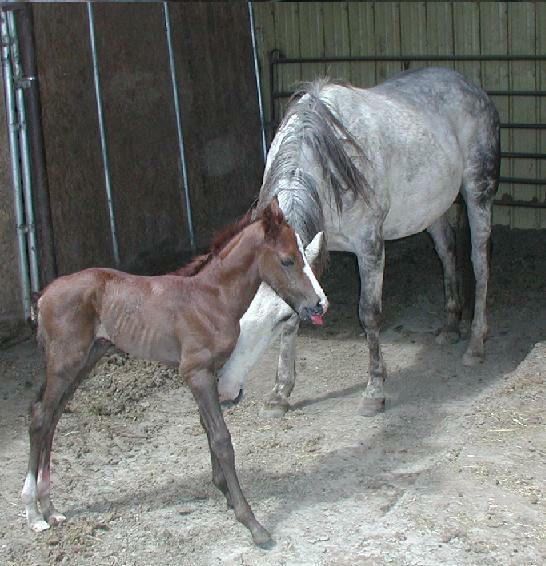 Born 3/13/04 - Already leading, this is one nice filly. Very well put together. Born 5/10/04 Will reg. foundation (NFQHA) at 91%. Check out these markigs across her back. "Rose is just an awesome filly, very well put together. She should do great at whatever direction someone wants to take her. 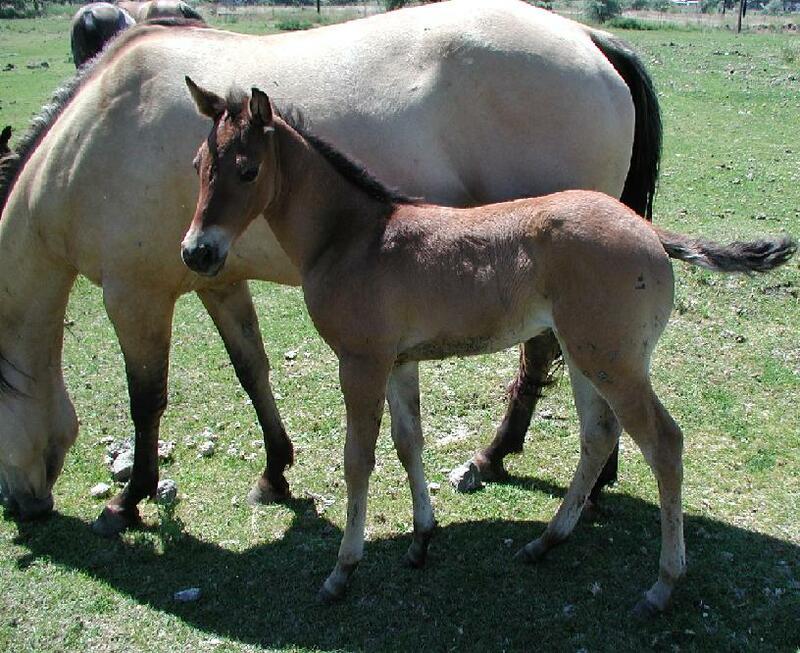 This colt is really built, loaded with dun factor, including dorsal and zebra stripes. 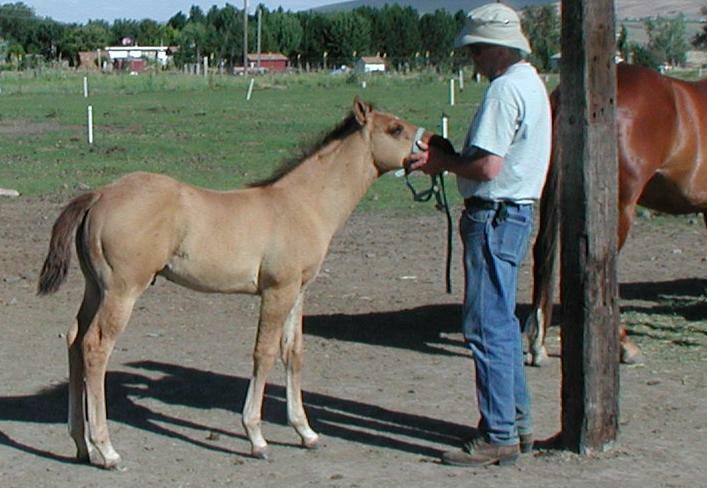 He will qualify for foundation & is an Incentive Fund Fund Foal. Will be NFQHA 93%. 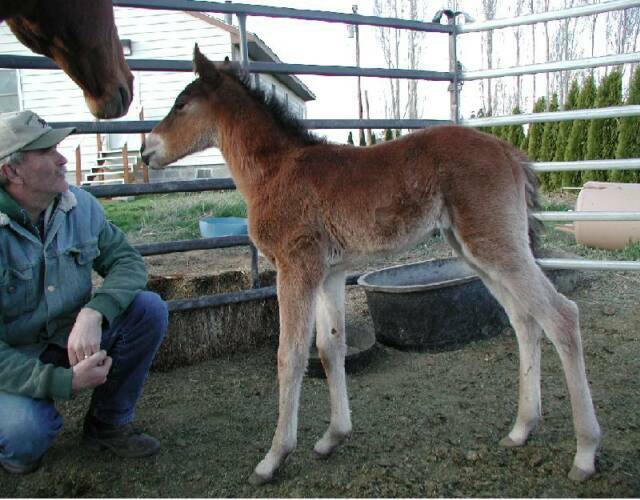 Really nice AQHA Appendix filly born 5/9/04, she is shedding out dark so she will be grey. 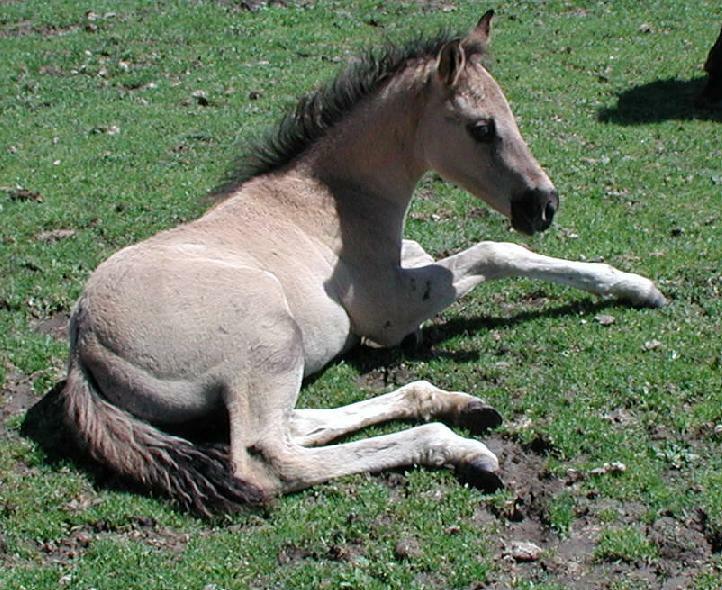 Her sire is Jack Son Impress N/N. Super Friendly, & follows you everywhere. 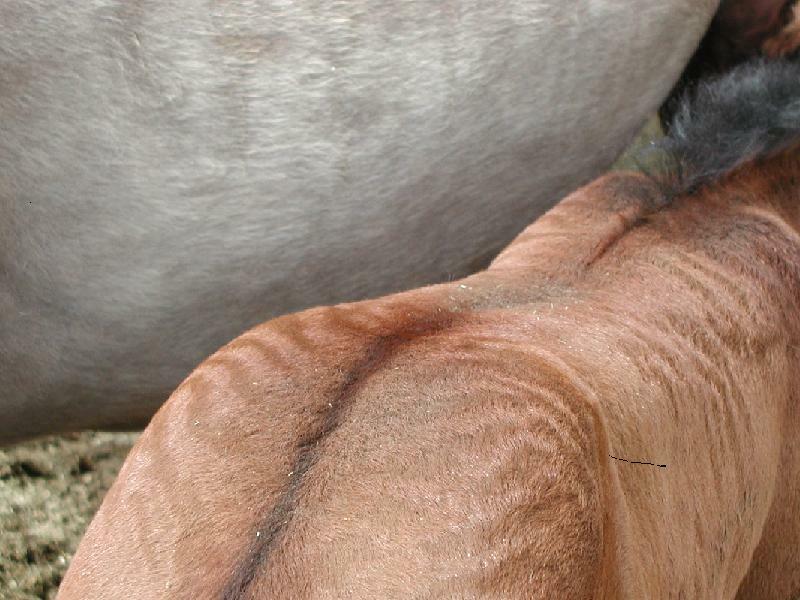 Show quality or will make a nice all around pleasure horse. 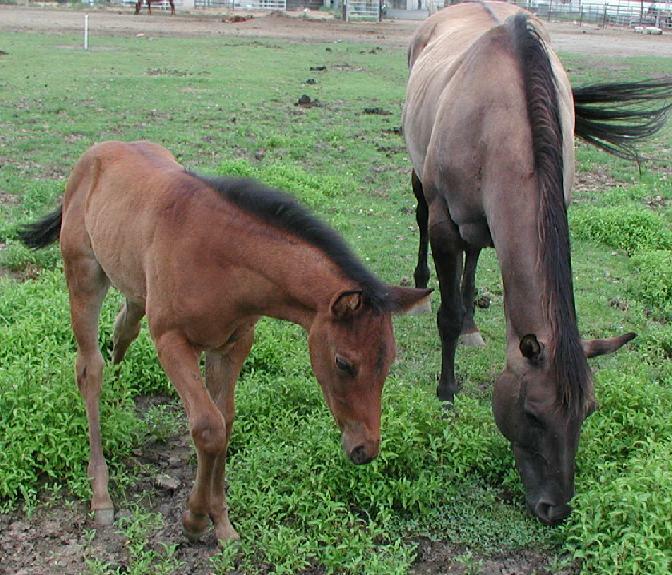 Very nice dun AQHA filly, born 5/22/04, Will qualify for foundation (NFHQA at 91 or 92%). She is has the a nicee dun color and is very will put together. Well bred.